Rolled out early in advance of the Season, Hanukkah Starts With This Endcap Display. For the uninitiated the promotion signage gently reminds that Hanukkah is December 12th through 20th. 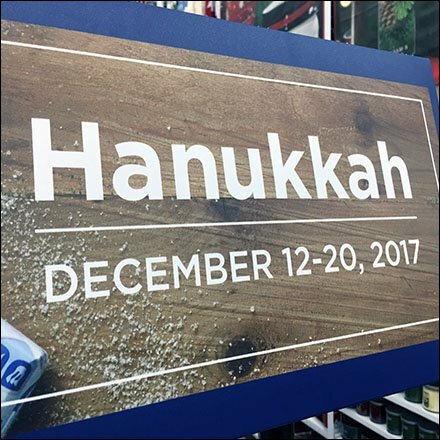 The Endcap offers as array of appropriate merchandise, so spend s few moments browsing the Hanukkah Starts With This Endcap Display gallery of images. Seen at Bed Bath and Beyond.